How rare is this superb acreage? This attractive large, contemporary designed home is on an acreage in a suburban setting. 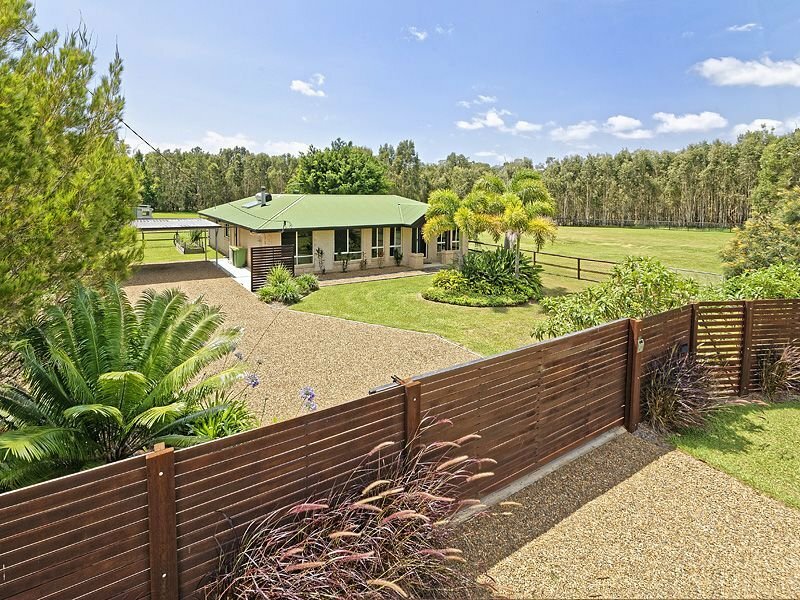 It is a unique horse property due to its proximity not only to Bribie Island (9 km), horse riding on Beachmere beaches (12 km), Beerburrum East Forest trails (10 km), but also due to its closeness to schools and shopping. In fact, the bus stop is just at the end of the cul-de-sac. The concrete block and insulated Colorbond roof of the home is in pristine condition. There are 5 bedrooms, all with BIR’s. 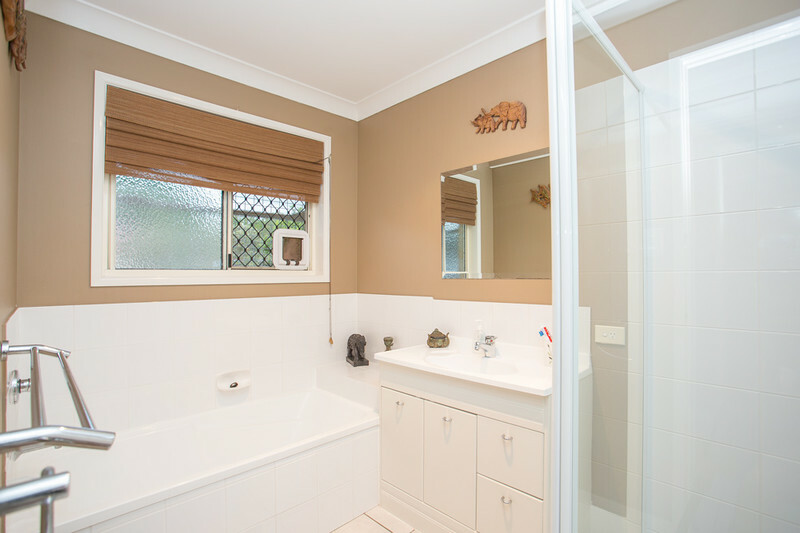 The master bedroom is fitted with an ensuite and there is a large family bathroom. The entire home has just been repainted internally with a neutral white and is offered for sale as a vacant possession. The well appointed spacious kitchen and family room overlook the expansive 8 m x 7 m covered back patio. It serves as the hub of both family living and is perfect for the Queensland lifestyle of entertaining. The house is fully renovated throughout. There are 3 air conditioners, a pot belly stove, rainwater tanks, a solar hot water system, and a biocycle treatment plant with a new motor for septic and grey water. The features that make this a unique horse property are not only a beautiful home, its proximity to the coast, but its opportunity to value add. In place is excellent dog-proof fencing, electric front security gates, 2 pony stables, a feed and tack shed, and a chicken coop. The 2 paddocks surrounding the house are flat and dry and have excellent horse pastures. These 2.5 acres are ideal for building horse facilities, such as an Olympic-sized arena, horse stables, lunge ring, etc. The back area of approximately 3 acres around the dam provides excellent feed for 6 to 8 months of the year. 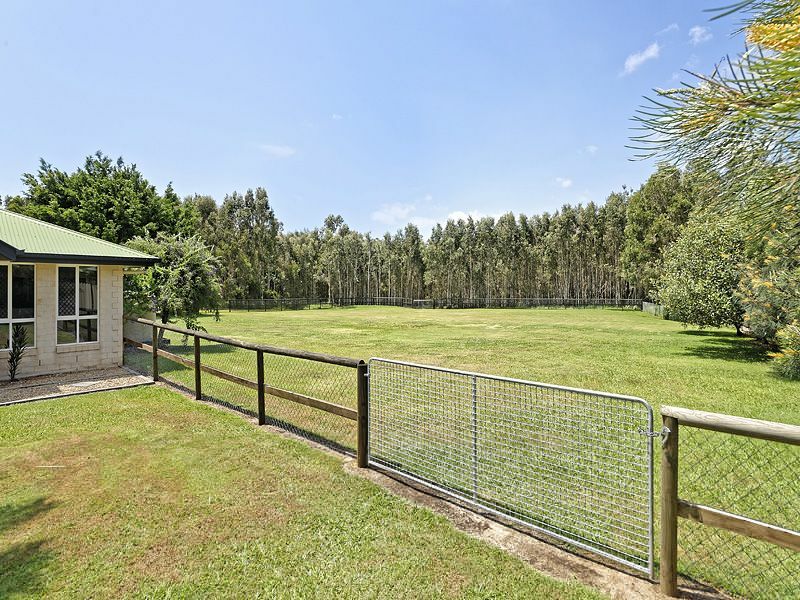 This unique horse property is ideal for a buyer with vision who can realise its potential or may have an ALTERNATIVE use for this acreage property.